The Stellako River is only 150 Km west of Prince George. 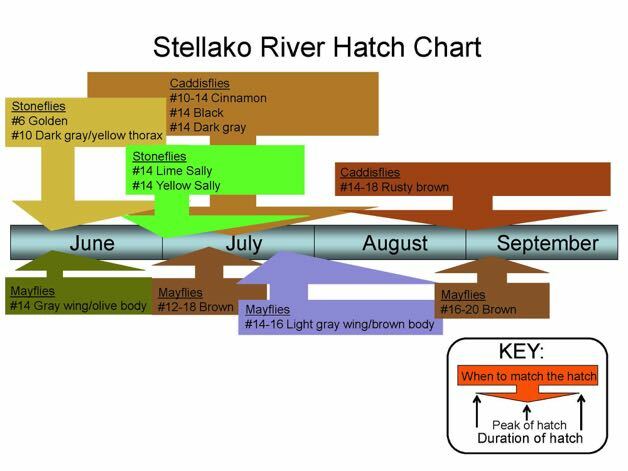 The Stellako is probably one of the most famous rivers in BC and because of this notoriety it receives a lot of fishing pressure. Nevertheless, anglers flock to this river to catch the large rainbow trout. A 9-foot 4-weight fly rod is ideal for the rainbow trout in this river.